Desi Smith Photo. 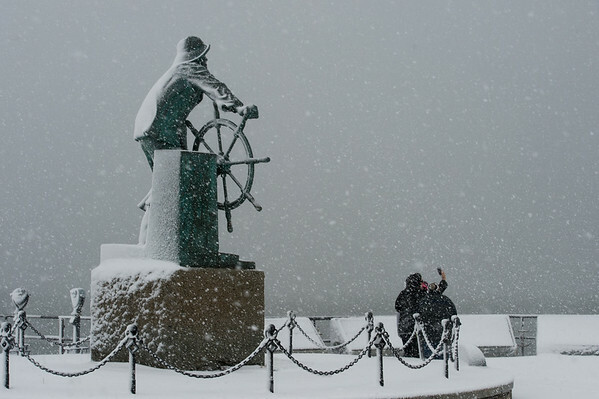 Gloucester resident Carole DeSantis takes a storm selfie in front of the Fishermen’s Statue with friends Kendra Tolman and Paula Burns,Tuesday morning. They also had some more fun throwing snow at each other,after the photo. March 13,2018.